The Indian markets moved between positive and negative terrain throughout the day and closed the session with moderate gains. The Indian markets witnessed an extremely volatile trade today and closed the session with modest gains. 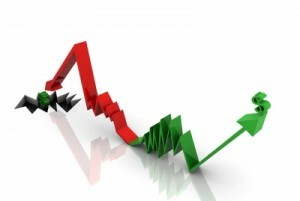 The markets remained in a narrow range and were struggling for direction. Gains in technology, banking and oil & gas shares led the upmove, while FMCG, power and auto shares were under pressure. After two days of heavy losses, the markets saw some green at the close. Bharti Airtel, Reliance Communications, L&T, HDFC Bank and TCS were the top Sensex gainers. Hero Honda, BHEL, ITC, HUL and Maruti Suzuki were the top losers. The Sensex began the trade at 19092, almost at the same level of its previous close. In the early trade, the index slipped in the negative zone and hit the day?s low of 18976. However, the index bounced back in volatile trade and hit the day?s high of 19202. The Sensex fluctuated between gains and losses all throughout the day. The Sensex closed at 19122, up by 31 points and the Nifty rose by 12 points to settle at 5741. The European markets rallied on Tuesday as fund managers said strong earnings would support markets in the short term, overshadowing economic risks, with LVMH and Burberry results' beating forecasts. All the Asian indices closed with losses on Tuesday except Jakarta Composite up by 0.15%. Japanese shares hit a three-week low after chipmaker Texas Instruments warned that the impact from Japan's earthquake last month would result in slower sales growth and after the yen climbed on Standard & Poor's threat to cut its US credit rating. The US stock index futures signal to a slightly lower opening on the Wall Street on Tuesday.